Tim and Mark pour liquid ice cream mixture on a large, round slab kept at -30 °C, you choose your toppings, and then they turn the liquid mixture into edible art right therein front of you, skillfully operating two spatulas at the same time. Looping good! The Bistro Bus’ Marion and Jasper like a bit of a challenge. 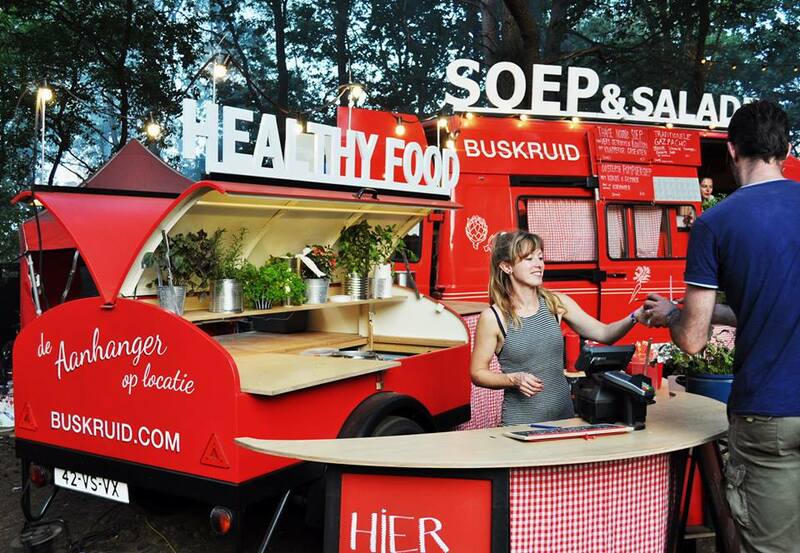 Not only did they singlehandedly turn a Citroën HY camper into a food truck, they also like to push the boundaries in terms of catering. They serve a range of all-time favourites but also like to experiment with new dishes on request. In any case, they always use free-range or organic meat and fair trade coffee! 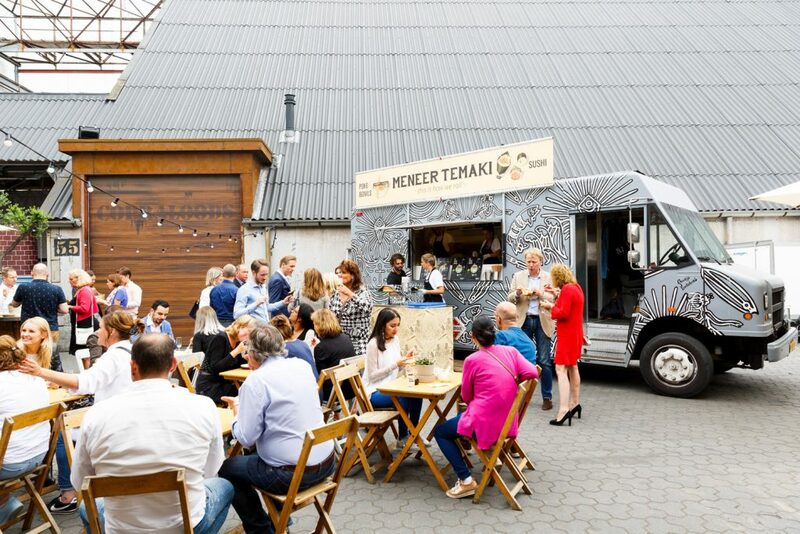 Mr Temaki serves Japanese street food in a modern way. Temaki are rolled by passionate chefs in the smoky haze of the yakitori grill. Mr Temaki also serves Poké Bowls, the popular new food trend from Hawaii featuring vegetables, rice, and raw fish. 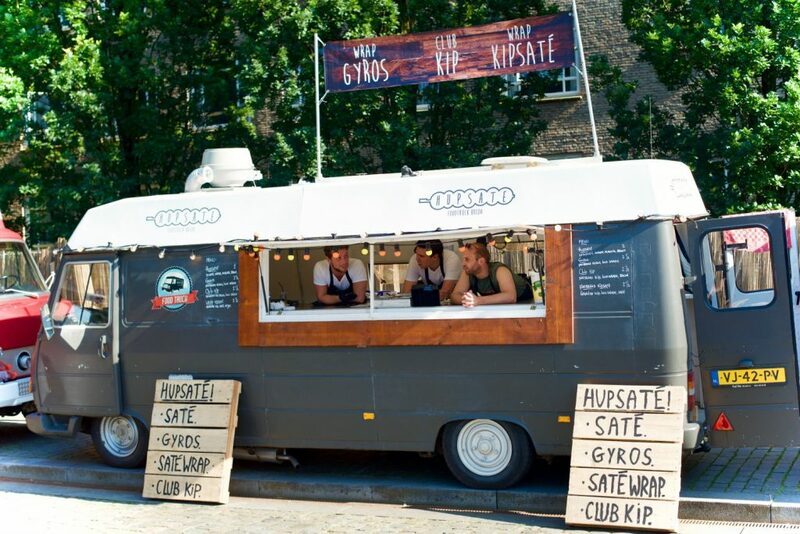 The Hupsaté food truck is all about supplying love, on a stick or wrapped in a bun. 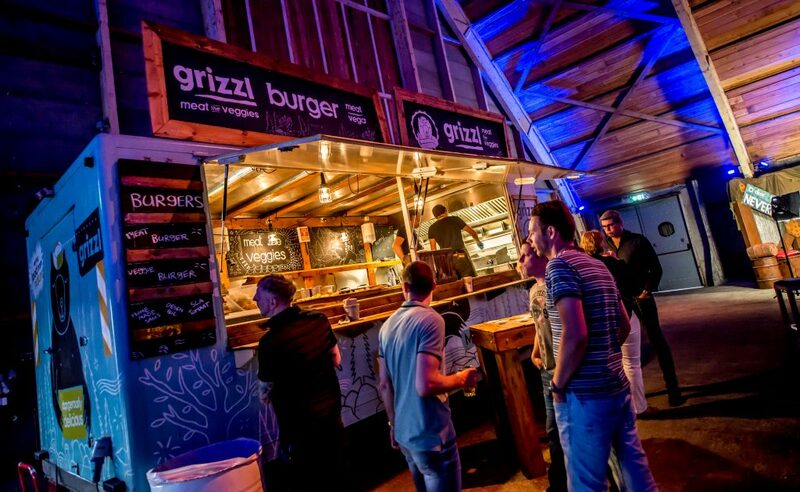 Delicious and honestly sourced burgers, wraps, grilled cheese sandwiches, fries, and of course satay! 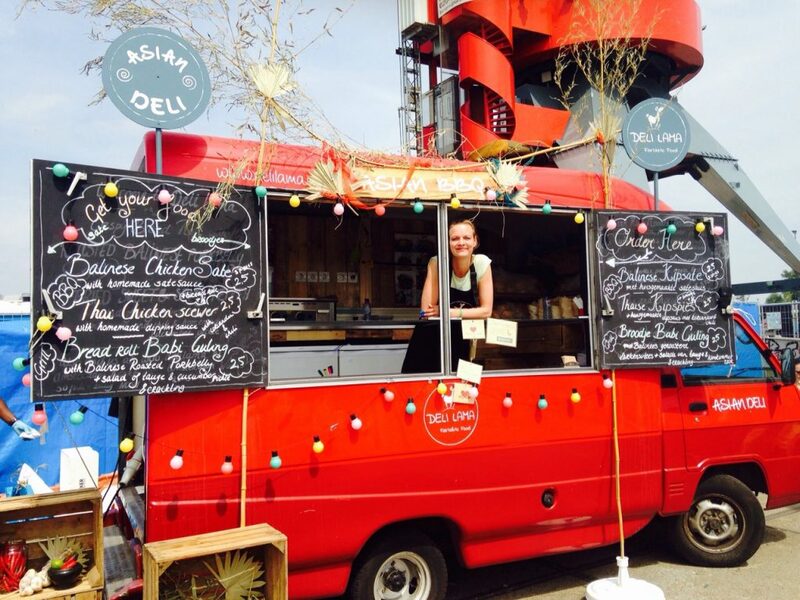 From her bright red fire truck, Buskruid’s Jessica serves fresh, homemade soups, salads, and sandwiches. 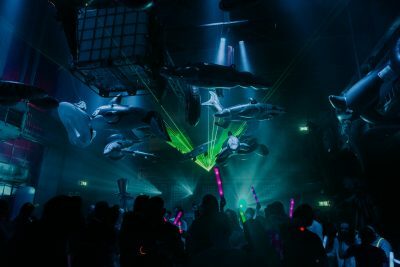 Grizzl loves parties. 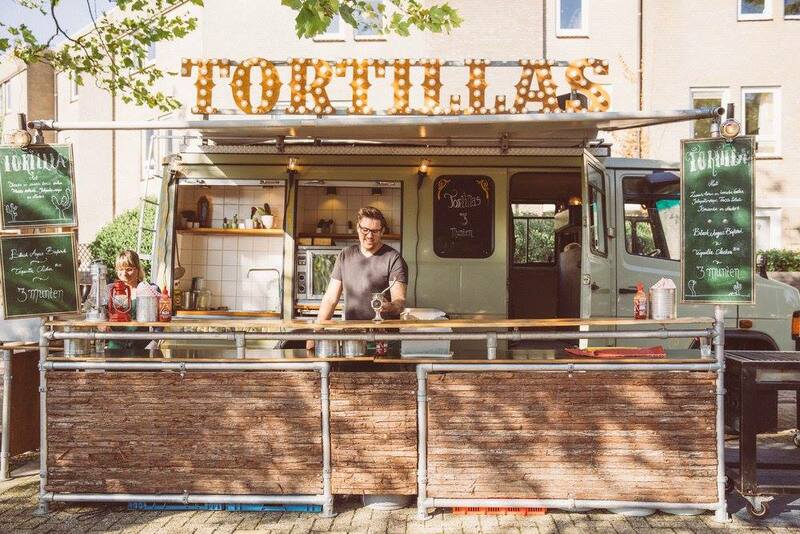 From their authentic food truck made out of scrap wood, the enthusiastic staff serve the ‘Grizzl Taste’: Meat & Veggie Flammkuchen, culinary traditional Dutch ‘bitterballen’ croquettes, burgers, and freshly cut, unpeeled fries. Incredibly good! 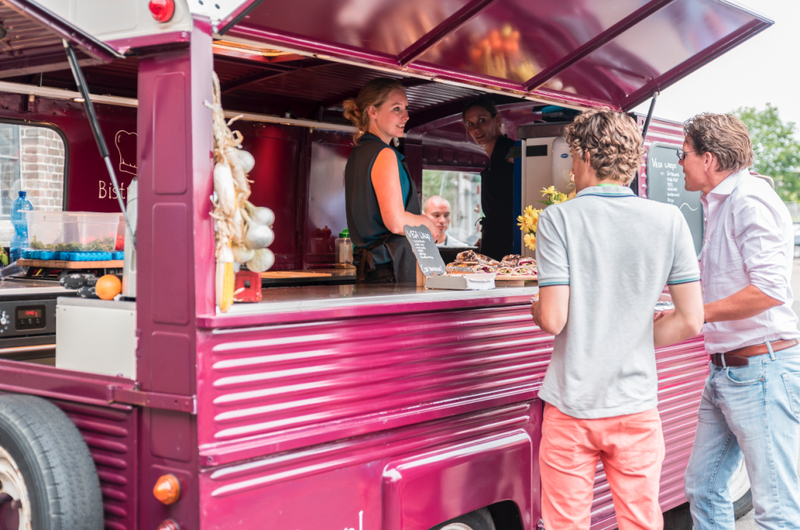 BUS Unlimited Solutions spoils its guests out of a cool Citroën HY bus that dates back to 1973 with a variety of Italian ice creams, freshly made smoothies and shakes, sgroppinos, mojitos, freshly cooked Belgian waffles, Italian paninis, and latte art. 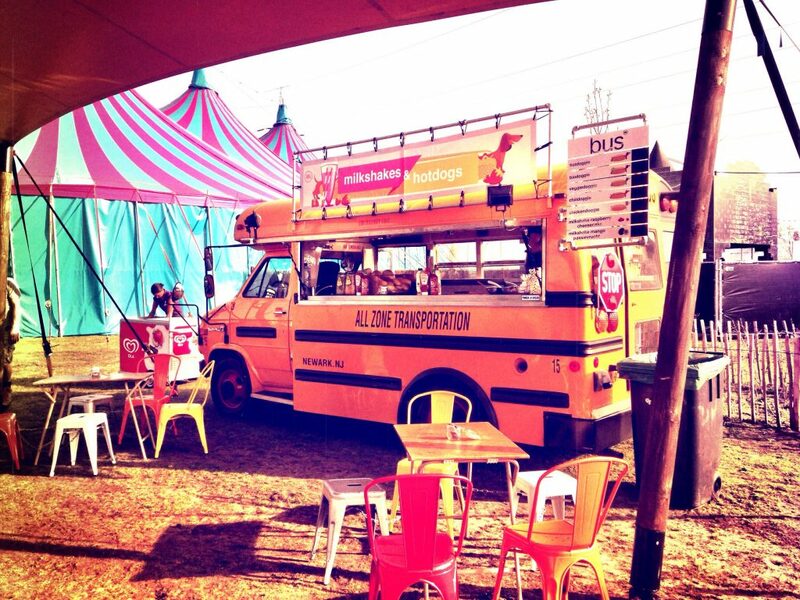 Or rent their authentic school bus from which they serve hotdogs instead! 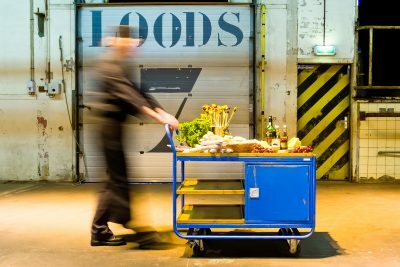 Out of their old Mercedes Benz fire truck, Instock brings food waste to people’s attention all over the Netherlands. 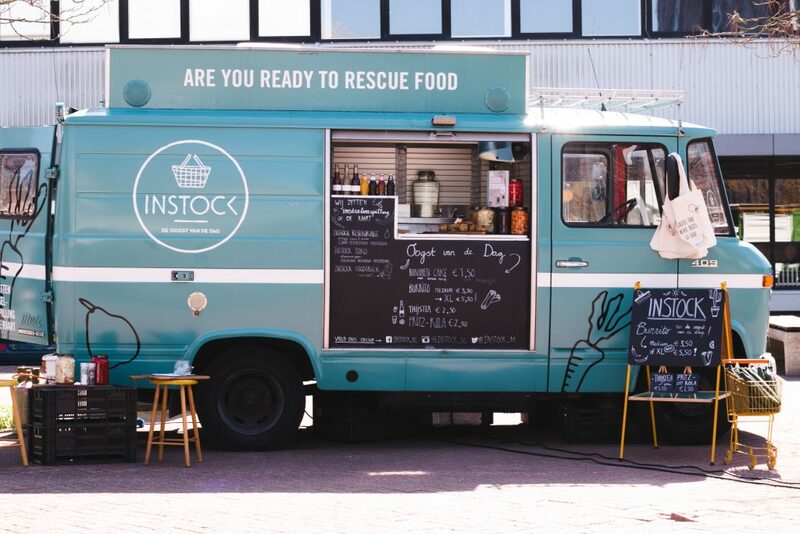 Instock uses products that would have been thrown away otherwise, meaning that their catering is always a surprise; it ranges from hot meals, salads, and toasted sandwiches to soups, quiches, and juices. Fleur makes Asian sandwiches, salads, and snacks based on her life in Indonesia and travels through Asia. Honest products, organic homegrown meat, authentic flavours, and no preservatives; that is what Deli Lama is all about. 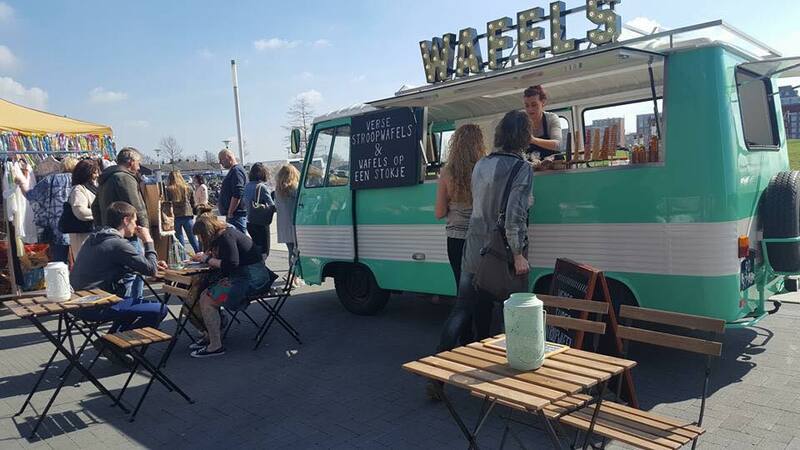 From a Peugeot J7 food truck, Trek serves crepes, jumbo-sized traditional Dutch ‘stroopwafels’ or syrup waffles, and waffles on sticks, with a range of toppings and dips. 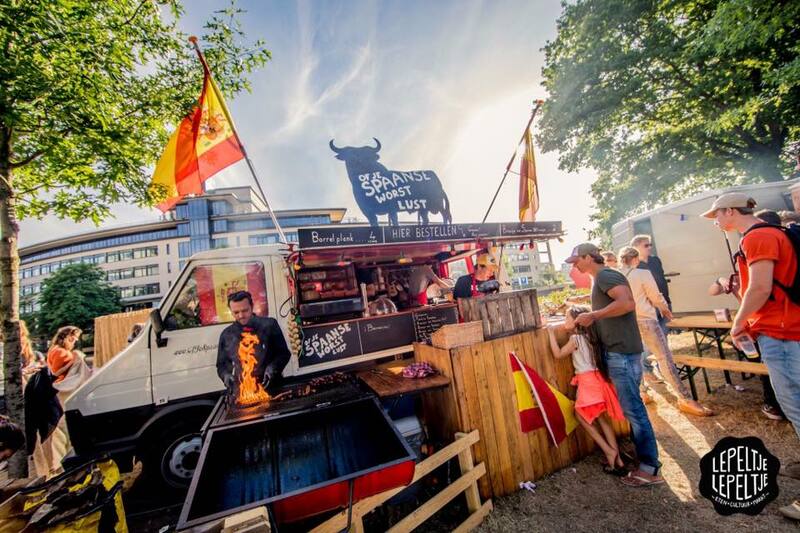 Kok au Van is a mobile caterer that travels to festivals all over the Netherlands to serve the most delicious barbecued Tex Mex dishes to festival goers everywhere. Delicious, honest food, seasonal vegetables, meat from Lindenhoff farm, and vegetarian chicken from the Vegetarian Butcher. This group of Spanish and Dutch friends with a passion for Spain and Spanish products import the best organic, sustainable products from Spain, ranging from olive oil, manchego, and Jamon Ibérico, but they also serve homemade gazpacho, tortillas, and sangria. Served by real Spaniards! 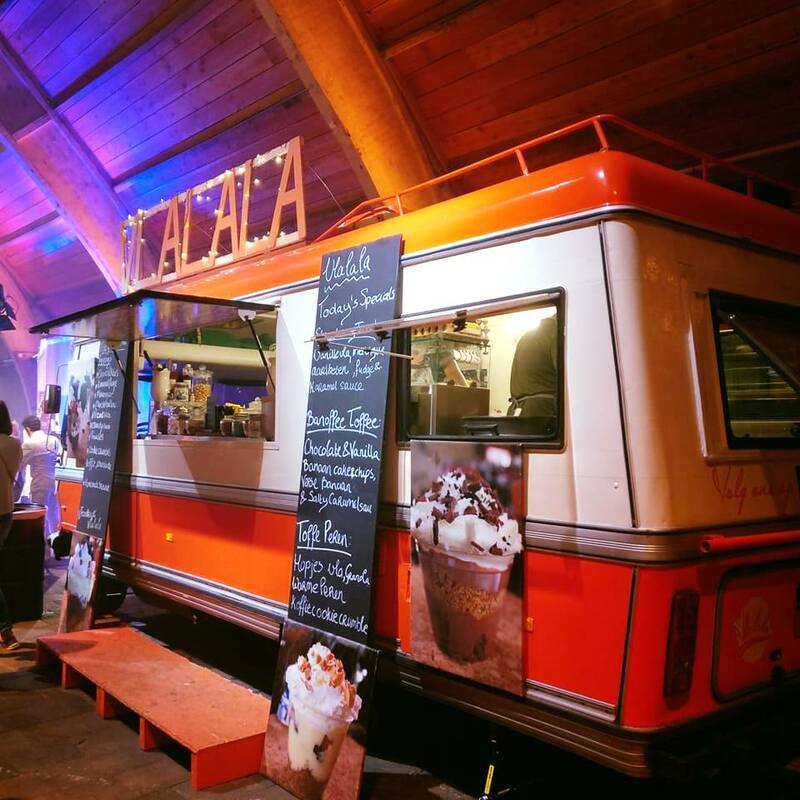 A delicious, cheerful dessert is guaranteed with Vlalala! Create the most delicious, fun, wacky blends using Vlalala’s delicious authentic custards, straight from the dairy farm, such as ‘Pleased as Pie’ custard? 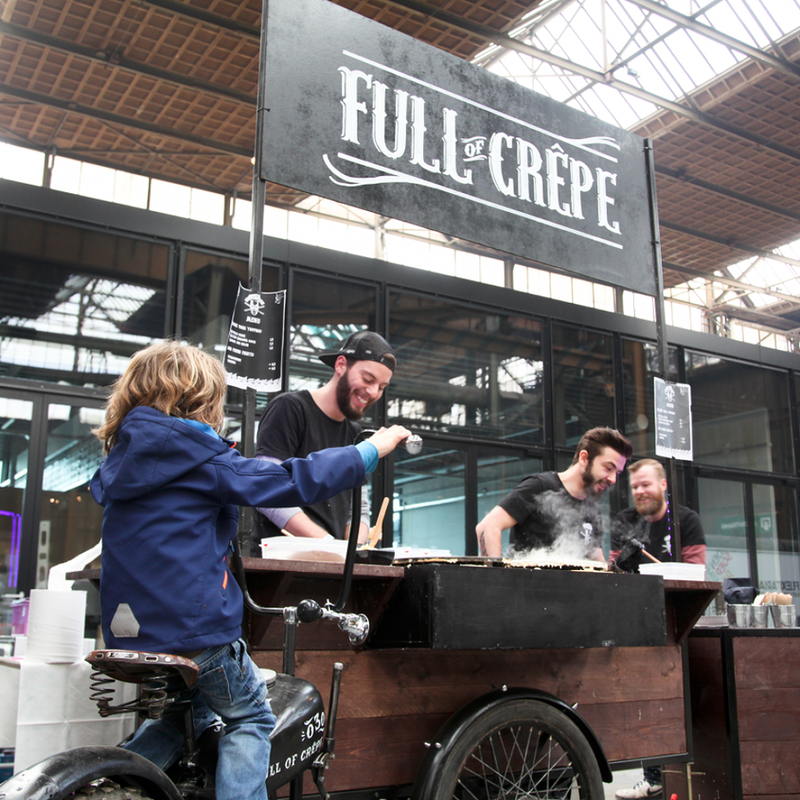 Delicious crepes, homemade according to a secret recipe, served with a healthy dose of puns. 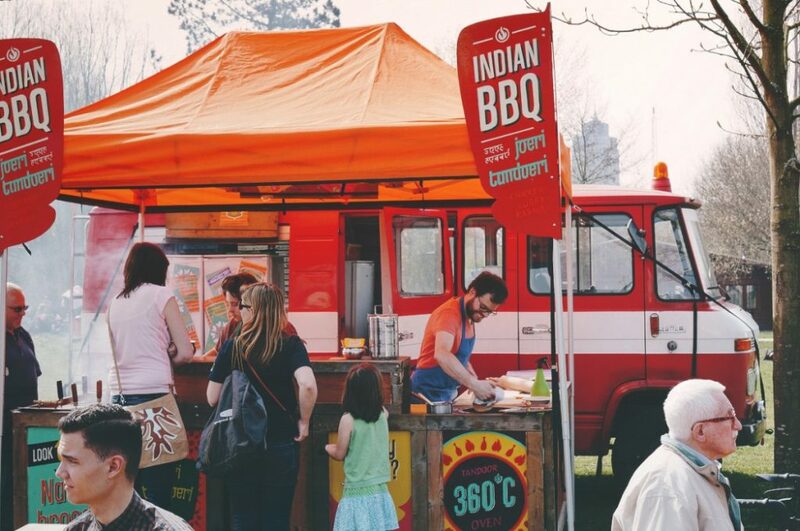 Joeri keeps his tandoor, his traditional Indian oven, at anywhere between 300 and 400 degrees; he uses it to bake fresh naan bread and amazingly tender chicken tandoori. Healthy, fresh pasta at affordable prices! 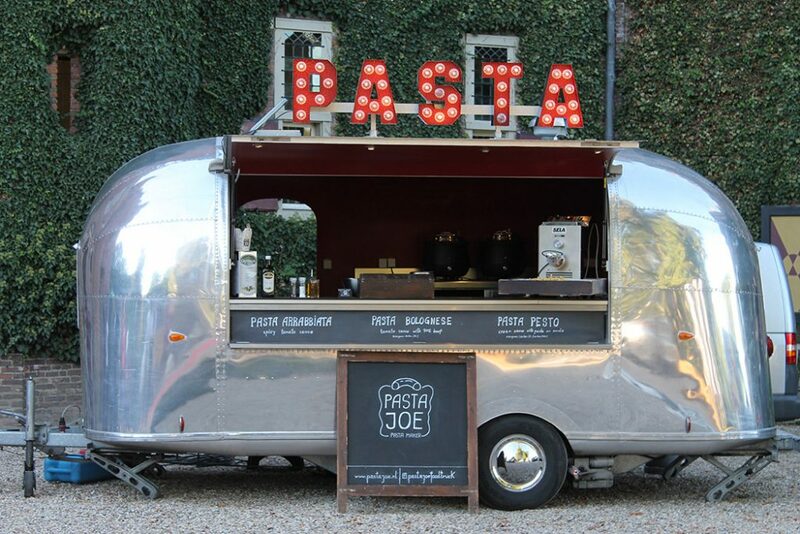 Pasta Joe serves regulars such as pasta with pesto, pasta bolognese, and pasta arrabiata, and also uses coloured or organic pasta or different sauces on request. 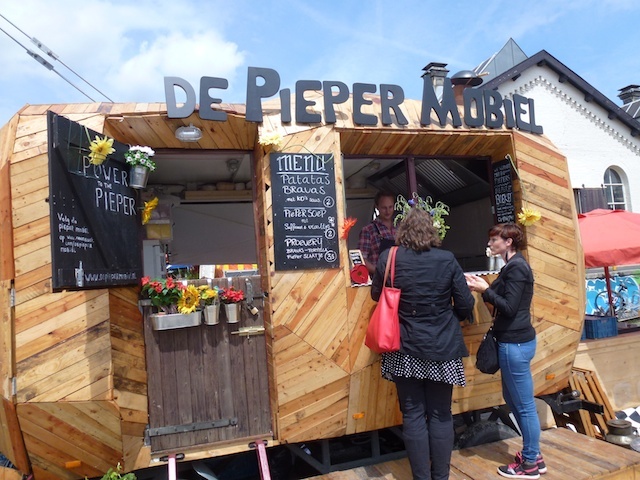 The Pieper Mobiel, which translates to ‘Tatty Truck’, not only has a rugged appearance, but also a very huggable nature. It serves award-winning fries and delicious patatas bravas with delicious homemade sauces. 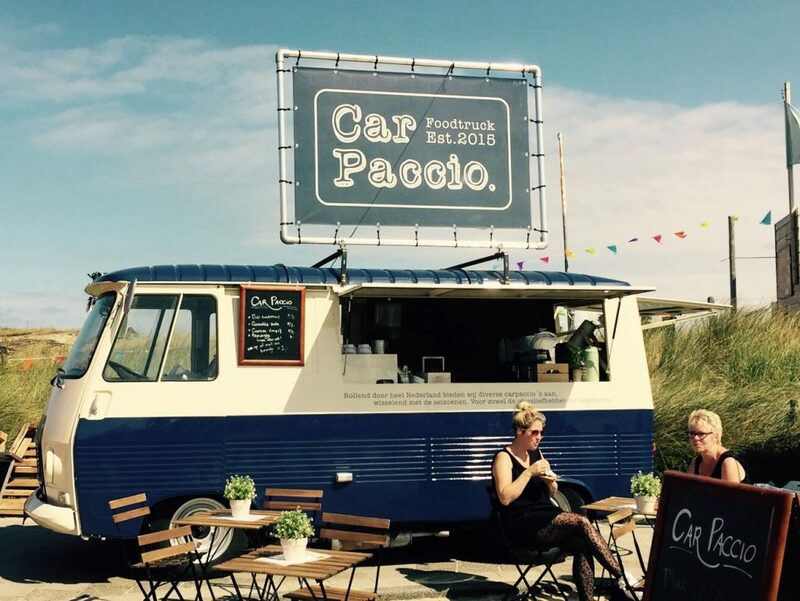 Food truck Car Paccio is Bart and Jenneke’s dream come true. 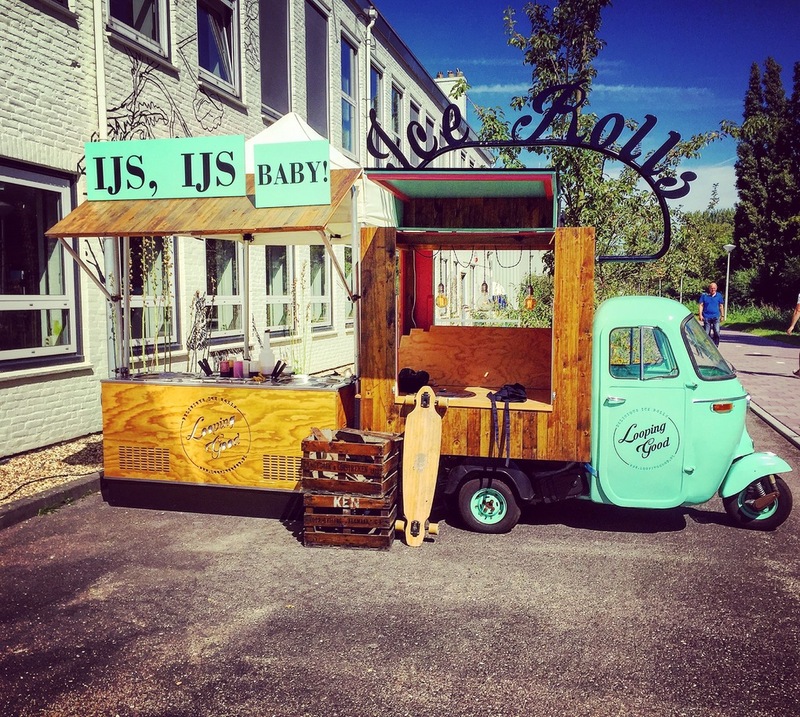 They cruise all over the Netherlands serving various seasonal carpaccios, for meat lovers and vegetarians alike.